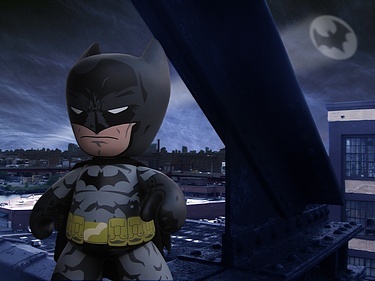 New York - Perhaps the greatest summer exclusive in the universe, Mezco proudly presents the Mega Scale Batman Mez-Itz. 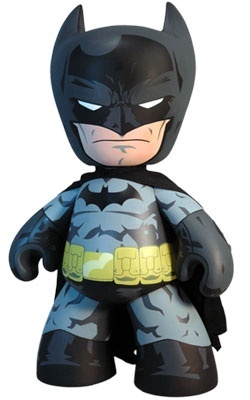 This 300% Batman Mez-Itz measures 20 inches from the tip of his ears to the soles of his batboots. He features a real cloth black cape. Just like the standard Mez-Itz, he features 5 points of articulation and 1000 points of fun. 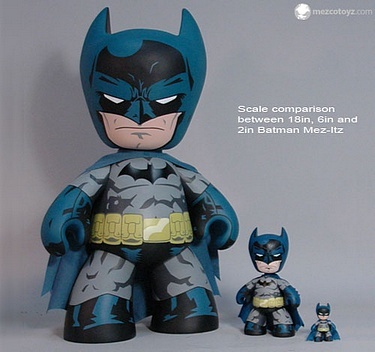 Mez-Itz Mega Scale Batman is securely packed in a sturdy full color box (the size of a dorm fridge) featuring glossy highlights. This is a non-numbered limited edition item. Edition size TBD. Mega Scale Batman Mez-Itz is available in 2 versions: Limited Edition Black and Gray and Ultra Rare Variant Limited Edition Blue and Grey.